WHY TAKE A CPR CLASS? Looking for CPR Classes, First Aid, BLS, ACLS, and PALS Certification and Recertification Courses in or around Mission Viejo, California? You’re probably wondering why would you ever need to take a CPR class? Whether you’re in the medical field, who may need an AHA certification to work in the hospital, clinic, or other healthcare setting; you’re a personal trainer requiring an AHA certification to help physically transform your clients; you’re a lifeguard who might need to resuscitate someone who drowns in the swimming pool; parent who finds their child or infant unresponsive; you’re involved in an unfortunate motor vehicle accident and need to assist a person who is not breathing and/or do not have a pulse; you’re a Good Samaritan who just happens to be in a scene where a person has passed out; or you’re an individual who has no medical training or education whatsoever and want to help an individual you care about, you should know that every year there are approximately 383,000 out of hospital cardiac pulmonary arrest. That’s more than 1,000 a day! This fact alone is enough for anyone to understand that taking a CPR class is indispensable and desirable in any medical emergency that may or may not happen at all. However, with at least 1,000 people per day having a cardiac pulmonary arrest, there’s a small chance that your CPR training can make a significant difference. You don’t have to be advanced healthcare provider to take an AHA course that teaches you how to call help right away, try to revive someone with chest compressions and/or ventilations and then use an automated external defibrillator (AED) to save someone’s life in cardiac pulmonary arrest. It’s as easy as 1-2-3! 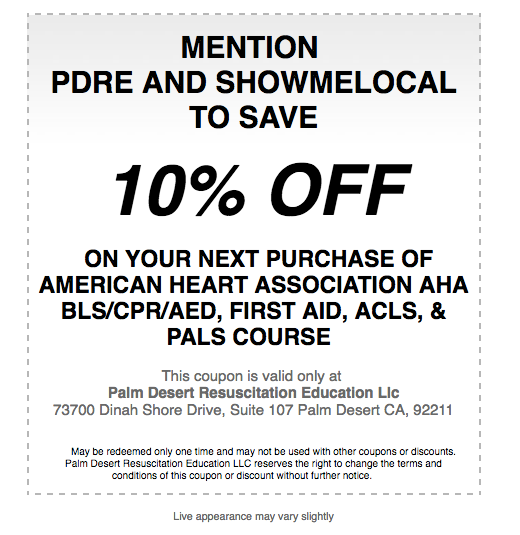 Palm Desert Resuscitation offers CPR, First-Aid classes, BLS, ACLS, and PALS Certification and Recertification Courses, and more, and is among Southern California’s best and frontrunner in American Heart Association (AHA) classroom-based and online education, up-to-date news and information delivery. We want to advance our mission of promoting healthier lives and assist in reducing the morbidity and mortality of cardiovascular diseases and stroke through evidenced-based learning and professional education as per the most current AHA guidelines and recommendations. Staffed by a dedicated team of highly qualified professional educators and stellar personnel with diverse and experienced healthcare backgrounds, PDRE offers education and training in AHA courses and/or certification(s) for healthcare professionals, allied health professionals and other non-healthcare providers or novice laypersons. Classroom Based CPR Classes, First Aid, BLS, ACLS, and PALS Certification and Recertification Courses available for surrounding Orange County, California area cities. How Long Does Help Arrive After You Call 911? Did you actually know that it takes 7-10 minutes for the emergency medical services, paramedics, and/or first responders to come to an emergency situation after calling 911? This means that if someone is having a cardiac pulmonary arrest, his or her heart has stopped beating. It is only common sense that those 7-10 minutes are a critical time that requires you as a rescuer to pump the heart by giving prompt and high-quality chest compressions to prevent the victim from circling down the drain because of decreased cardiac output and organ perfusion. It’s all about blood flow during the first few minutes of cardiac pulmonary arrest…so start pumping the chest! Timing is key! Where Do All of These Life Saving Facts Come From? The American Heart Association (AHA) actually conducts more research than any other association in the United States except only for the United States government. The AHA is one of the most research-based and outcome-based organizations in the world and is, by far, one of the most reputable sources for long-term prevention and acute management of cardiovascular diseases and stroke. Thus, as an AHA training site, PDRE is here to promote the most up-to-date AHA guidelines and recommendations to increase the survival rates of persons who have cardiopulmonary arrest and stroke. Because of the fact that the AHA changes their recommendations and guidelines every 5 years, PDRE is always cognizant of the newest updated life saving data and tries to incorporate these recommendations and guidelines in subsequent lectures. How Do PDRE Instructors Teach the Courses? Through PowerPoint presentations, video-based learning, practice while watching, and more practice sessions (as needed), the students will be immersed by the most enjoyable AHA course content at PDRE. What Else Can I Expect When Taking First Aid, BLS, ACLS, and PALS Certification and Recertification Courses? include the following critical concepts: (1) recognizing cardiac arrest; (2) understanding the chain of survival; (3) how to give prompt and high-quality CPR; (4) delivering appropriate ventilations or rescue breathing; (5) and how to use an automated external defibrillator (AED). You can also gain confidence in how to handle in-hospital and out-of-hospital emergency situations, increase knowledge by passing the AHA written test and psychomotor skills evaluation with 100% accuracy, and have appreciation for and become enthusiastic at saving a life!!! Serving Mission Viejo. Classroom Based CPR Classes, First Aid, BLS, ACLS, and PALS Certification and Recertification Courses available for surrounding Redlands area cities. Our AHA ACLS instructor, Dr. Nuqui, was very knowledgeable, experienced, supportive, and entertaining. Most of all, I really appreciated how well organized and engaging the initial provider course was conducted in a pleasant and comfortable learning environment. Not only was the training site facility brand-new but everything from the student materials, training AEDs, intubation equipment and manikins were up-to-date and in excellent condition. I was very impressed with how professional and enjoyable my ACLS and PALS renewal classes were at Palm Desert Resuscitation Education! As an emergency medicine registered nurse working at Desert Regional Medical Center in Palm Springs, I wanted to be educated with the most commonly seen cardiac arrhythmias and their treatment but also needed classes that were attention grabbing and fun. Palm Desert Resuscitation Education instructors definitely kept my attention during the lengthy courses by having a balanced sense of humor, pertinent and brilliant instructions, and excellent case scenario discussions. I highly recommend this training facility as your go-to CPR certification site for your healthcare job because Dr. Nuqui is not only passionate about saving lives but is awesome when it comes to teaching you the proper techniques of resuscitation including compressions, airway management, and defibrillator use. He shares his medical and teaching experiences while making you feel relaxed, stimulated, and well informed with the current AHA guidelines. He taught me exactly what I needed to know to be ready when cardiac arrest happens. During my Basic Life Support (BLS) class, I was given all of the necessary skills to be confident and not be afraid if ever one of my patients or family members collapses due to a heart condition, such as a heart attack. PDRE’s instructors and staff provide a very friendly, informative, humorous, interesting, and stress-free class that makes me want to personally refer all of my friends and family to do their CPR training at PDRE. Do not hesitate to try the best American Heart Association courses in the Desert Cities! As an elementary teacher who needed to be responsible for many students, I wanted to learn first aid basics and CPR in case I encounter a time when one of my students may either be choking, bleeding, seizes, faints, breaks a bone, sprains a muscle, becomes allergic, passes out, and experiences other first aid emergencies. Palm Desert Resuscitation Education’s first aid basics and CPR classroom course, which were held in our elementary school, was the perfect out-of-site learning setting to practice first aid basics and CPR for medical and injury emergencies. All of the staff and school employees are truly thankful and now self-assured to be able to provide possible practical first aid basics and CPR to our students, associates, friends or relatives. From my experience, Palm Desert Resuscitation Education quite honestly has the greatest, most efficient and personable instructors teaching top-of-the-line healthcare certification courses. Dr. Nuqui and his staff were truly amazing when I needed my BLS certification for my personal training business. He was very efficient and thorough with all of the course content and materials including the new guideline changes so that we are all up-to-date when it comes to performing effective CPR and step-by-step use of an AED. It was very easy to listen to him because he is not only a great instructor but is outgoing and personable. He really made the class enjoyable and easy to understand. I would definitely go back here for my BLS recertification. Being a member of an exclusive golf club in the Palm Springs area, I was surprised by how much I learned in adult CPR and AED use, first aid basics, medical emergencies, injury emergencies, and environmental emergencies during an exciting and educational course held by Dr. Nuqui and other instructors in our private Club House. You never know when someone needs help, especially when we are out in the golf course, and those minutes before the first responders get to our location can be vital. Thus, those important medical techniques that Dr. Nuqui presented to us clearly could possibly save one of our participant’s lives. I now feel very comfortable that our golf club members were trained the proper way and can respond to almost any medical emergency. Read What Students are Saying! Orange County Office - Palm Desert Resuscitation Education, LLC. All rights reserved. Neonatal Resuscitation Program (NRP): In-Person Hands-On Skills Evaluation Testing (i.e., Performance Checklist/Megacode) ONLY $80 per NRP Provider Learner. The special offer includes the materials needed for the courses including the AHA eCard course certificate of completion. 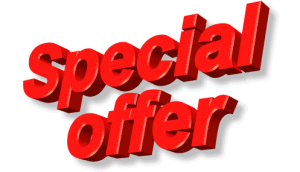 The special offer does not include the provider manuals for the respective courses. 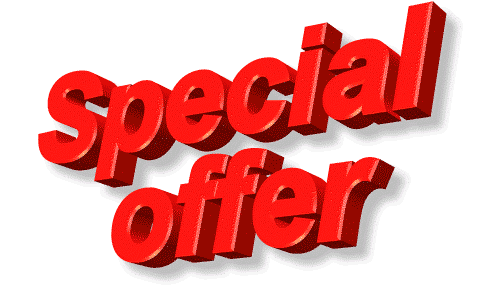 Rules and regulations of this special offer are subject to change without prior notice. Only applies to PDRE LLC customers and cannot be combined with any other coupons or discounts. Check out our full listing of classroom-based and online courses as well as other services and products that PDRE offers. Find full details and purchase options. We thank you for selecting PDRE as your preferred authorized AHA training site in Southern California.